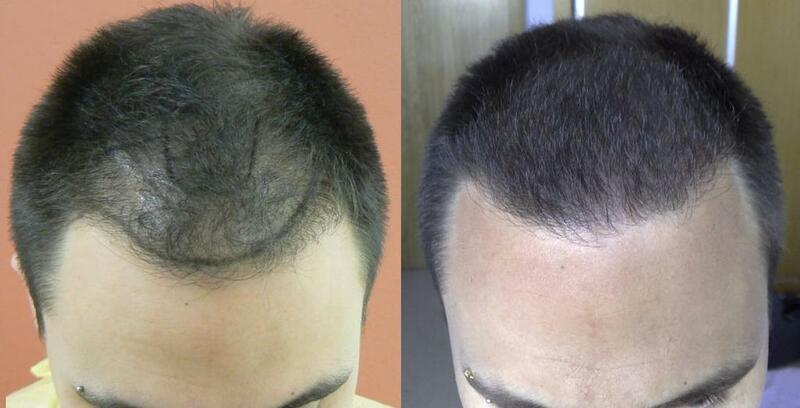 Here we have a FUT/Strip case performed by Dr B and his Team, 3734 grafts placed in the hair line and frontal area to increase the hair line definition and general density in the frontal zones where it was miniaturised. Below we have pre op, post op placement and 7 months post op, then 8 months post op comparison with before. Not the usual male pattern baldness I have accustomed to seeing, he had diffuse thinning in the front, right? » diffuse thinning in the front, right? 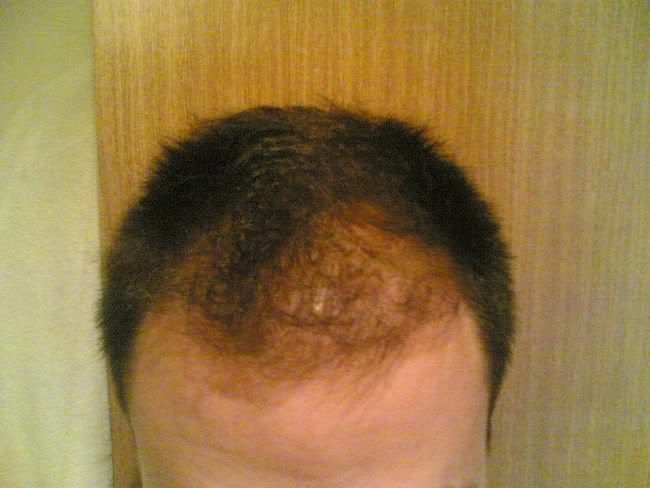 Difinately diffuse thinning, it wasn;t even that bad, the postop pics showed that the frontal 1/3 was just completely wiped out in order to make room for the hair transplant, if I were him I would just wait or stay on minox etc. 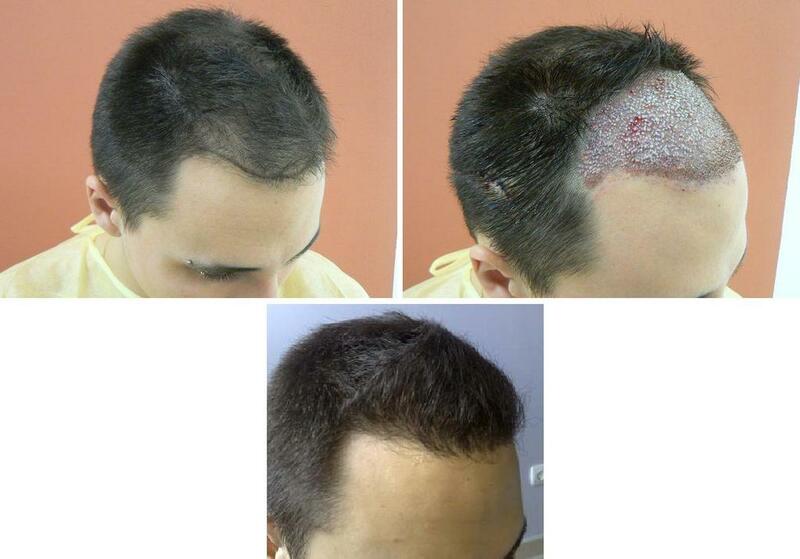 Granted he has a perfect hairline now but he used up almost 4000 grafts for an area that wasn’t even that bad in the first place. » » diffuse thinning in the front, right? » grafts for an area that wasn’t even that bad in the first place. His hair was bad, no doubt. It looked bad in the pics, and probably much worse in real life. I must say this result is good. The best thing is that it looks really natural, which is not the case with some docs on this forum. All I can say is that if I had hair like that I would have just got on proscar and waited,it wasn’t that bad at all. Shock loss is not a concern for this guy? 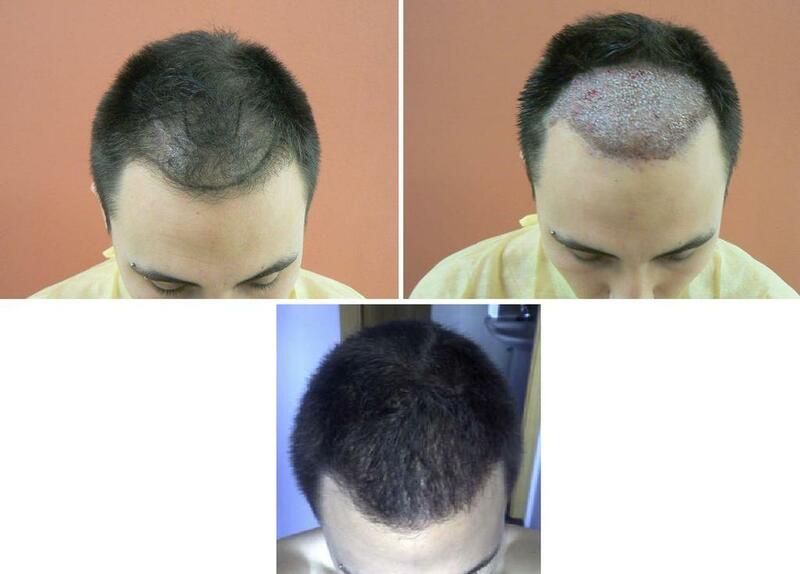 that is clearly diffuse thinning, usually it is not a good idea for people with diffuse hair loss to have hair transplant. » proscar and waited,it wasn’t that bad at all. 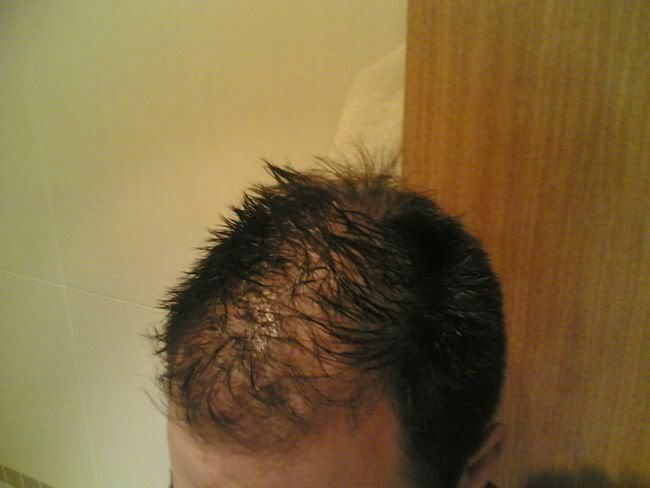 Welcome to the forum; he has been on propecia for sometime now, certainly enough time if anything positive was going to happen it would have done, and also tried minox but finds it irritates his scalp, even the foam version. As coolguy said their is no miracle cure anyway so be under no illusion that any med would have thickened his hair to the extent you could not see his scalp through the miniaturisation. In respect of how bad he was, well beauty is in the eyes of the beholder I suppose. Going from a NW5 to his before pics maybe you would be happy, maybe not, so it is really relative to your goals and aspirations; makes HT a very personal journey for everyone. Obviously placing within existing growth is always harder and the increase of lower density possible or shockloss as you mention,whether shockloss is a concern in the case I would say not 8 months post op. I answered a similar question in another thread regarding placement within existing hair; he had a very high % of miniaturisation in the frontal area, the before pictures possibly show it in a good light and better than reality, the basics were although the hair was present it gave him no thickness in appearance, and this is what he wanted to address. His hair line was transparent and the entire frontal area see through. As you can see we shaved the recipient before making the sites and placing the grafts, this was to be able to ensure we placed a strong density and also makes it easier for the slits to be placed parallel with existing strong hair to ensure healthy growth of both; if killing off some weak hair in process is the penalty well it was not doing much to make him feel good about himself anyway, and as we can see has been replaced with a much more uniform density and strong, defined hair line. Here are a few more PRE OP pictures taken by our patient, maybe they show it off better. big difference in the after pics, you cannot say he didn’t need it, its obvious how thin he was before. Kudos to him, great placement of the hair. » » proscar and waited,it wasn’t that bad at all. » not see his scalp through the miniaturisation. » a very personal journey for everyone. » density and strong, defined hair line. So in other words, placement is done with the assumption that the miniaturized hairs will sooner or later be all gone and hence no efforts is made to work with or work around these tiny hairs? » » » proscar and waited,it wasn’t that bad at all. » » not see his scalp through the miniaturisation. » » a very personal journey for everyone. » » density and strong, defined hair line. » made to work with or work around these tiny hairs? There is little assumption when it comes to this type of HT, ie diffused miniaturisation. The hair as you said is “tiny” and in respect of cosmetics it does not fulfil the requirement, that being a thick head of hair. Miniaturised hair can sometimes have a high density still, in some cases more than the placement of the new grafted hair, purely the characteristics of these hairs are so weak they do not give thickness. If by your words “no efforts is made to work with or work around” you are trying to suggest no care is taken then that is incorrect. The issue here is the result the patient receives and the education the patient is given prior to his procedure. 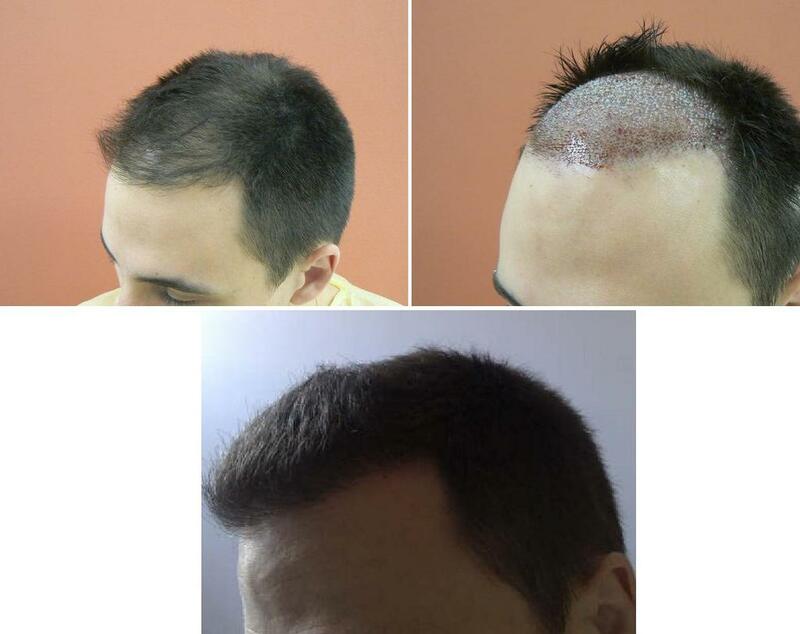 It is not practical to place between each individual “tiny” hair in this case certainly, the result would not stand as being solid and the improvements would have been minor. By definition miniaturised hair is on the way out, it is better to proceed with an area in one pass than have to go back into that said area a year or so later to refill the gaps left by lost weak hair. Not just the factor of surgically better to do in one pass because of no secondary trauma to the recipient site, no secondary entering of the donor, be it through FUE or FUT, and from the patients point of view he gets the result he wants now and then not later, less stress of going through another procedure, time, expense etc. To recap, all effort is made to preserve hair and not “write it off” but this has to be made within the boundaries of achieving the desired result and the patient understanding what is necessary. Great placement, you couldn’t tell this is a hair transplant, let’s hoope he keeps this head of hair for a long long time. These results look extremely natural. I am going through a similar situation in terms of miniaturization. Results like this make me very excited for my next procedure. » excited for my next procedure. » » excited for my next procedure. Same for everybody until there is a cure, we continue to use tons of products to keep our hair and ppl rarely stop at just 1 hair transplant. Well as stitchmeup said and do not know I think any HT patients who think one pass and they are saved and our patient here is certainly not one of them. For him, he is fortunate, good, great if you forgive me, result in one pass, but he is under no illusions of the future, keeps on meds and enjoys what he has today but looking at the future.